Another bummer about the time change: When I get home from work, it’s already dark and I can’t take any good outdoor photos of my works in progress. I took this photo in the kitchen. 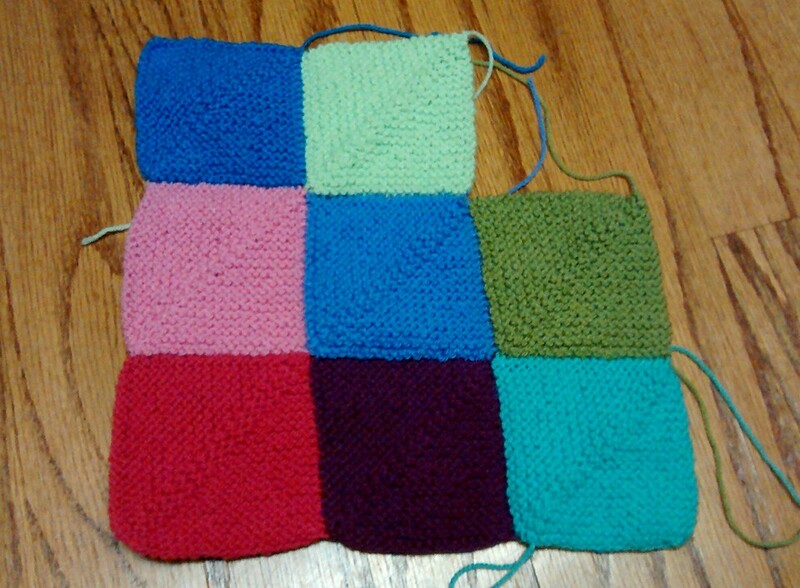 The patchwork squares are coming along nicely, though. Categories: Handmade | Tags: afghan, knitting, mitered squares, patchwork, patchwork blocks | Permalink. I love mitred squares but my goodness do they take forever to do! How big are the squares? It’s hard to tell from the photo? I admire people who have the patience to do a mitred square blanket!